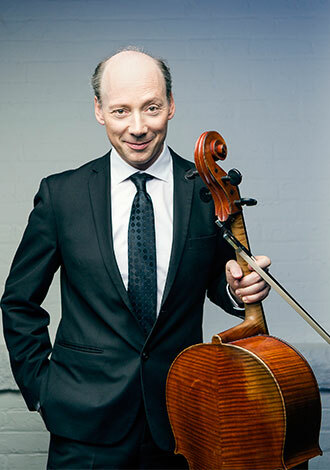 Clive Greensmith, cellist, is a distinguished soloist, chamber musician, and teacher. He was a member of the Tokyo String Quartet from 1999 until 2013, giving over one hundred performances each year in the most prestigious international venues, including New York’s Carnegie Hall, Sydney Opera House, London’s South Bank, Paris Chatelet, Berlin Philharmonie, Vienna Musikverein and Suntory Hall in Tokyo. He has collaborated with international artists such as Midori, Andras Schiff, Pinchas Zukerman, Leon Fleisher, Lynn Harrell, Dmitry Sitkovetsky, Alicia de Larrocha and Emmanuel Ax. Clive has given guest performances at prominent festivals worldwide. As a soloist, Clive Greensmith has performed with the London Symphony Orchestra, Royal Philharmonic Orchestra, Seoul Philharmonic, and the RAI Orchestra of Rome among others. In 1987 he made his concerto debut with the London Symphony Orchestra and went on to be First Prize Winner in the Sergio Lorenzi chamber music competition in Trieste, Italy, and First Prize Winner in the Caltanisetta Duo competition. He was a major prize winner in the first-ever “Premio Stradivari” held in Cremona, Italy in 1991. Deeply committed to the mentoring and development of young musicians, Clive has enjoyed a long and distinguished teaching career. In addition to his fifteen-year residency with the Tokyo String Quartet at Yale University, Clive has served as a member of the faculty at the Yehudi Menuhin School and Royal Northern College of Music in England, the San Francisco Conservatory of Music, Manhattan School of Music and New York University. Clive is a founding member of the Montrose Trio with pianist Jon Kimura Parker and violinist Martin Beaver.